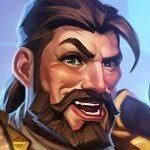 It’s been a week since the nerf patch, so we’re no longer updating this post. 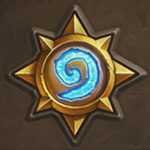 Click here for the list of the best new Hearthstone ladder decks. The second wave of Rastakhan’s Rumble nerfs is live, and we’ll be adding as many post-nerf decks as we can. The changes might not be as big as the Druid nerfs we had in December, but they’re still significant. Five cards in total are getting nerfed – Cold Blood, Flametongue Totem, Equality, Hunter's Mark and Lesser Emerald Spellstone. Four of those cards belong to the Basic or Classic set, which is consistent with the recent changes – over the last few expansions, many evergreen staples were hit. The changes mostly impact decks like Secret (Hybrid) Hunter, Even Shaman, Odd Rogue or Holy Wrath Paladin, and each one of them is either Tier 1 or Tier 2. We’ll be rounding up new deck as players try to playtest and figure out what’s working and what isn’t. I’ll be cataloging all of the deck lists that seem to be working in the new meta. I’ll try to focus on the new or heavily changed decks, but if some already viable archetype turns out to be working extremely well, I’ll also include it. 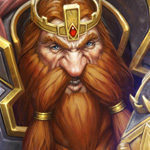 While Druid didn’t get affected by the nerfs, the class was already struggling heavily after the December wave. It’s not a likely candidate to take over the meta, although some players already had success with Druid decks in the high Legend and tournament meta, so there’s no telling how everything will look like. Hunter was an unquestionable king of the meta after the first wave of nerfs, so it’s no wonder that it was largely targeted now. It’s clear that the class will get weaker – the real question is how much weaker? Mage avoided the nerfs once again, but it didn’t have the best showing earlier in the expansion. That said, both Big Spell Mage and Odd Mage were quite promising, which might suggest that the class will be in a better spot than it is right now. Paladin took a huge hit to its Odd archetype previously, but it didn’t stop them. While it was no longer AS powerful, it quickly replaced Level Up! with Frostwolf Warlord or some other cards, filling the 5-drop slot quite easily. This time around, however, it’s the Even & Combo Paladin decks that take a hit. Changing the cost of Equality from 2 to 4 turns it from one of the strongest Classic cards to a pretty questionable choice. We’ll see whether it will be good enough, or will those decks have to drop it completely. Priest dodged the nerfs once again, and the class is in a pretty good spot right now too. However, its good spot was quite heavily because of the solid Hunter matchups it had – if Hunters get less popular, Priest might also vanish into thin air. Who knows? Rogue has lost Kingsbane archetype previously “thanks” to the Leeching Poison nerf, and now the Odd archetype lost a big burst tool in a form of Cold Blood. While it’s not likely enough to stop it completely, it will make closing out the games much more difficult. Last time, Shudderwock Shaman was made completely useless, since it could no longer copy itself with Saronite Chain Gang. Right now, the other popular Shaman archetype – Even Shaman – is losing one of its best payoff cards, Flametongue Totem. While the nerf seems to target the Wild version of the deck, which outclasses most of the other decks out there, it will hurt the Standard one as much or even more. Warlock didn’t get directly nerfed, but then again, the class wasn’t doing amazingly well recently. It might be its time to shine again, since some of the bad matchups got hit. On the other hand, other bad matchups (such as Control Priest) weren’t and might get more popular, so how things will look for Warlock is still up in the air. Warrior has been a one-hit wonder for the last two expansions, with Odd Warrior being the only really viable deck it had (either the regular or Quest version). This nerf patch doesn’t look that amazing for Warrior. While Combo Paladin decks, one of its worst enemies, are getting hit, the good matchups like Even Shaman or Odd Rogue also go down. Combo decks are terrible matchups for Odd Warrior, so if decks like Mecha’Thun Warlock or Hakkar Druid become more popular, things aren’t looking bright for them. But if we end up having a more Aggro-oriented meta, the class might shine once again. It is unbelieveable that Blizzard keeps nerfing Shaman every freaking expansion while classes like warlock (during C&C) and hunter (right now) terrorize the meta for months and months to come. It is the second time that they make shaman completely unplayable and I am not sure what they are thinking. I will keep playing Aggro Overload and that is fine to me but I find it so sad that the devs always destroy build diversity. I feel your pain brother. I had the same sentiment a few weeks back when they inexplicably nerfed mage cards. It pretty much abolished a control deck I had built. There was no suitable replacement card, so I ended up sadly deleting the deck. What’s perhaps infuriating in that whole process, is the real money and time I had spent building it, and the pride that came with not just copying someone else’s deck off the web. Ironically, the deck was hardly all that great to begin with, and had a limited win ratio. Prior to that, I had the exact same experience playing a Druid. 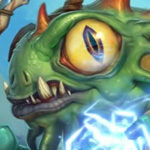 I am a casual player who started playing Hearthstone a year or so ago, although an evaluation of both the time and money spent on the game playing catch up is far less than casual. I could have probably put that money on a trip to Europe or something. I don’t even want to think of what I could have done with the time. Having climbed that indeed daunting learning curve, I know enough about the game now to enter the ranks of ‘more than casually frustrated’. I don’t think the nerfs did much to address the problems in the game now, which affect casual and pro players alike. Increasingly, they seem to have a polarizing effect, which is probably not great for the game long term. People tire of the lack of diversity on the competitive side, and grow bored of being a spectator to OTK decks. Micro nerfs to cards can do very little, when you consider they are hindered by Baku/Genn consequences. Furthermore, I am sure Blizzard is reluctant to do any big changes to the game dynamics that might offend big chunks of their revenue stream. At some point though they will have to weigh out big changes vs the inevitable attrition of players. Constructively, I still think things can be done to improve matters. One of my biggest frustrations is with the ranking system. If you are a player who doesn’t conform to playing Tier 1 meta decks, you will likely face sad results in the ranked play. My own experience can attest to that. I play a Mage now, and struggle to get past rank 20 sadly, since I enjoy to experiment. I like to experiment since it is fun, and I think that it what the game was originally designed to inspire. The consequence to that, despite all the class knowledge, experience, and real cash money, is that I am faced with a win rate of probably less than 30% and some days 10%. As such I stay at rank 20 everyday and see the message ‘you can’t lose stars at this rank’ far more than I care to, considering what I have invested. I guess what I am getting at is that the ranking system probably needs an overhaul somehow. If I consistently lose up to 90% of my matches, why put me up against an opponent who I will have little to no chance against? That seems flawed imo. The reduction in stars for people climbing may have reduced these match up a very small amount, but that’s assuming that everyone is climbing at the beginning of the season. I’ve honestly reached the point where if I come across a hunter I just concede right away, and if I see a priest or paladin, I’m usually conceding by turn 6 or 7 if not sooner as a ‘no contest’ loss. I realize that this behavior will never get me in the higher ranks, but playing an experimental mage deck never does anyways. Question is how much long before that gets old too? I could easily go and copy a tier 1 deck right now, but I think there is probably too much of that going on. 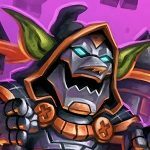 Players who just play Tier 1 decks are just as vocal in their own complaints. The complaints are just different. Though if you’re playing for the deck building/fun aspect, maybe climbing the ladder just isn’t for you. Laddering is basically a net-deck grind; most people don’t have the collection/time (or possibly ingenuity) to experiment with crafting a meta-beating deck from scratch so they’ll leave that to those that do, then copy their decks – that way they know which specific cards they need to climb, and thus a new meta evolves. I enjoy deck-building so I generally roll my own – but I’ve only had a couple of meta-breaking successes and never hit Legend (I’m not that good in all honesty). Most of the time though I either play Wild or casual – it’s more varied. I have also had very limited success with Control Big Spell, but overall I found it to fall quite short in the tier 1 meta. A good indicator of the of the health of any class are the tournament (HCT) results, and Mages have more than fallen way short. Most competitive players leave Mages out of their toolkit altogether. Not entirely sure about your classification of Big Spell Mages and Odd mages as having much hope or promise this patch, or this nerf for that matter. All the data I’ve seen suggests that mages are barely in the hunt for Tier 3 decks, while most builds fall squarely in the Tier 5 category. Having played them almost exclusively since the beginning of Rastakhan, I can attest that the Mage class is probably the worse class in the game at the moment, with no real promise of any improvement regardless of changes to other classes. As someone who came back to Hearthstone with Boomsday and invested everything I had into Mage for Rastakhan, I tend to agree with you. 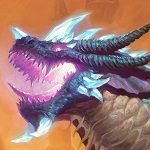 I have played every main style of Mage from Odd, Odd Aggro, Elemental, Murloc, Tempo and most recently Control Big Spell. Lately I am finding the most success with Control Big Spell but I’m anxious to see if the nerfs today have a positive effect. The nerfs are definitely positive for the class overall, but you’re absolutely right that they might not be enough to bring it back. I have some hope for the Mage class. The aggressive Odd Mage builds might be more promising than the slow, Control-oriented Big Spell Mage. I think that the meta might become pretty late-game oriented, and we will need a solid Aggro/Burn deck to punish slow strategies such as Mecha’thun decks or Resurrect (Clone) Priest. But so far, most of the nerf patches had some surprises when it comes to the meta. One new deck that has a bad matchup vs Big Spell Mage popping out and becoming Tier 1 might be enough to bring slow Mage back to the table.